Thassos marble tile features a smooth white color with minimal shading. It’s a popular choice when homeowners want a luxurious look and designers are going for sophisticated flair. However, it’s also a costly option that can quickly consume your budget. Whether your customers are asking you to bring the costs down or you’re looking at a shrinking budget of your own, there is a great alternative available. Cost-effective, durable and water-resistant, Marmot glass features many benefits that you’re sure to enjoy. This manmade product is designed with durability in mind. It has the high gloss of Thassos marble with the strength of granite. A hard surface, it is used predominantly for floors and even on stairs. The tough surface can withstand regular use and heavy traffic patterns, so it’s fast becoming a top choice for hotels and other commercial centers where the floors will see constant use. It’s resistant to scratching, and it won’t stain. This makes it a great choice for any long-term application where people want to invest in flooring that will last for years and even decades to come. Marmo glass features a brilliant white color that serves as the perfect neutral palate, much like Thassos marble. Designers love that it will work with any décor because they can easily change the look of a room without having to bring in new flooring. This makes it a great choice for homeowners who want to appeal to their own sense of style today while keeping it neutral for future buyers. It’s also a top choice for businesses that will change the look of their lobby or sales areas with the seasons. It’s a classic choice that never fades out of fashion, and it can become an important part of any design theme. One of the concerns with a natural stone like Thassos marble is that it might absorb water. This is easily solved by choosing stones with the right polish or treating them with special sealants. However, Marmo glass overcomes the problem completely because it’s completely waterproof. It has zero water absorption, so you don’t have to worry about any freezing and thawing cycles damaging outdoor tiles, and stains won’t be a problem. It’s a beautiful tile to install on shower walls, and it can be used on kitchen counters without worrying about damage from acidic orange juice or other spills. Install the tile in your outdoor living area or use it throughout the interior of your home with confidence. Some building materials emit gasses after they’re installed, or they’re actually radioactive. There is nothing to fear with durable and attractive Marmo glass. This beautiful finished surface has no radioactivity and there is no off-gassing. If you install it inside your home, you can rest easy knowing that your indoor air quality will remain high and the building material is safe for your entire family. Glass tiles are growing in popularity in part because of their shiny surface and reflective finish. As light bounces off the Marmo glass, it reflects around the room to brighten the space and make it feel more welcoming. You can enjoy the high shine of marble without the high expense. That gleaming finish looks incredible when it has a freshly cleaned surface, and you’ll appreciate how sharp your kitchen or foyer look with a polished floor that shines in the light. As the light reflects off Marmo glass, it effectively brightens the space. If you have a dark area that could use more light, consider installing Marmo glass before you start adding more light fixtures or brighter bulbs. This is why Marmo glass is a great addition to stairwells. It can also be used in dimly lit closets to make the most of your available light. Make your workspace more functional by finishing the counters or your desktops. With light effectively bouncing off the surface, it will be easier for you to see the fine details of your projects. Marmo glass is a great choice for commercial kitchens where the chefs need plenty of light to see. The polished, reflective finish ensures that you have enough light to see while maintaining a soft hue that is pleasing to the eye. Unlike carpets and linoleum, Marmo glass will never fade. It can be installed in areas that receive direct sunlight with confidence in the knowledge that the color will remain true. There is no yellowing, discoloration or staining as the result of regular sun exposure or the passage of time. The consistent color of the tiles allows them to be drilled, carved, repolished, and trimmed in any way necessary without worrying about other layers of color appearing. This allows the tiles to remain beautiful for a lifetime, and that also helps make it comparable to Thassos marble. Marmo glass can be used in a range of ways. It’s not just for kitchen counters. You can install it in the outdoor living area as flooring, wall cladding and the counters for your sharp new outdoor cooking space. Use it in the bathroom as a basin, countertop, or frame for the mirror. In the kitchen, Marmo glass is a smart option for work surfaces and even tabletops. It can also be used throughout the home to finish off pillars, fireplaces and other architectural features. If you’re concerned about using environmentally friendly materials, then Marmo glass will appeal to you on another level. It’s made of safe materials and won’t off-gas dangerous chemicals. It’s made from materials that are naturally abundant, so you can feel great about choosing this building material for your next project. As you plan the new décor for your home, consider the benefits of using Marmo glass. This manmade tile is so durable and versatile that it’s an excellent alternative to Thassos marble tiles. 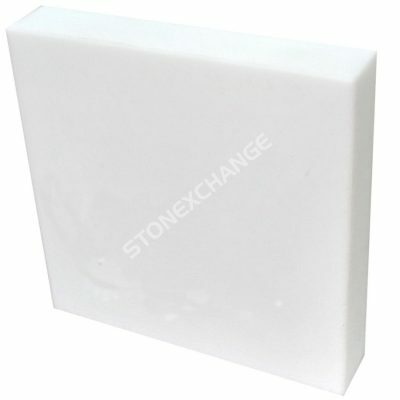 It features the same pure white color at a fraction of the price. It’s still glossy to reflect the light, and you’re sure to love how it enhances all areas of your home. Available from Nalboor, it can be used throughout your home and even in your outdoor living areas. It’s an excellent alternative to Thassos marble, so you can enjoy the beautiful look of the pure white stone without investing in a larger budget. If you are interested in enhancing your business or home with our beautiful natural stone, contact us today through our online form. You may also call us at (305) 501-4548 to speak to one of our professionals from the most affordable Thassos marble wholesaler in Florida!